Japandroids return after five years with their new album Near To The Wild Side of Life. Like their former two albums ‘Post-Nothing and Celebration Rock, the album is 8 songs. This is because 8 songs is the standard template for a great rock n roll album. See if Fighting Boredom think they have succeeded in making one in our review below. Fighting Boredom caught Japandroids last time they toured the UK in Birmingham, that night was brilliant, the last night of a tour and Brian’s birthday, songs were interrupted and started again, introductions were spread out and the sheer joy of it all made it one of my favourite gigs ever. So I was looking forward to this album; even though I was prepared for it to fall short. But seconds into the first track and the sounds still blasts into you like a shot of adrenaline and the voice has still got the emotion and depth to make you believe completely in what it’s saying. The whole album is a huge wake up call to us all. It’s about the moments that polarise life and make you kick it all away and just go. I had forgotten just how bloody good Japandroids are, even if they hadn’t.. ‘I used to be good but now I’m bad’. The feeling of the album is taking your life and not wasting it, doing whatever you want to, go places, see everything, fall in love and get a broken heart. Carry your fears and anxiety with you and above all live your life. They tell these stories with massive chorus’s, great big guitars and drums, the occasional keyboard and songs to die for. There’s a countrified punk stomp, understated emotional singing and even what seems to be them channeling the spirit of Proggy fellow Canadians Rush across the seven minute epic ‘Arch of Bar’. They end the record singing about realising that you aren’t here forever, this is what we have, this is what we are and we continue, the light of youth will break but as it does just carry on, live properly – ‘love so hard time stands still’. Near to The Wild Heart of Life is a call to arms against our mortality so just go, just go. 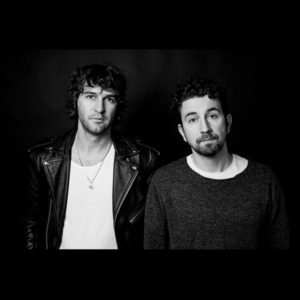 Japandroids website is japandroids.com, they are also on Facebook and they tweet as @Japandroids.